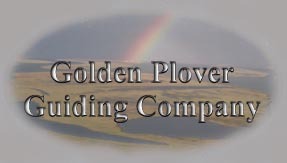 Experience the Arctic with Golden Plover Guiding Company. Let us bring you face to face with the real Alaska. 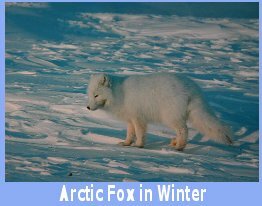 We offer incredible opportunities to view Arctic wildlife in its pristine habitat -- explore the native land and the cultures that inhabit it. Our trips can take you to the farthest reaches on the North American continent, where polar bears dwell and the aurora borealis glows brightly over head. We specialize in trips from the Brooks Range to the Arctic Ocean. 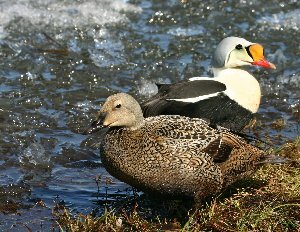 Wildlife viewing and photography tours are our specialty and we are located in one of the richest areas on the North Slope for waterfowl. Besides the large brant colony that surrounds the lodge, we have many nesting ducks, including king eiders, oldsquaw, and three species of nesting loons which includes the rare yellow-billed loon. Arctic Alaska Adventures offers year-round trips, transportation, lodging, and knowledgeable guides to introduce you to a unique ecosystem, full of natural wonders and a fragle beauty hard to imagine without seeing it yourself. During the open water season, late May thru September, you are picked up in Deadhorse and transported to and from Colville Village by air. You get a birds-eye view of the extensive "oil-field", plus see the oil pipeline snaking along below you. The Arctic Ocean, with its barrier islands and pack-ice, is visable to the north as you cruise into the uncluttered wilderness of the Colville River Delta. 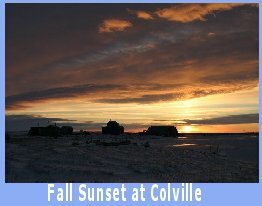 Your adventure is centered in the Colville River Delta on the edge of the Arctic Ocean at the isolated homesite of the Helmericks Family, who are your hosts and guides. 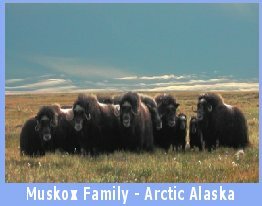 The Helmericks family are long time Arctic residents who have lived in the Colville Delta for over 50 years, and they are experts on Arctic flora, fauna, and environment. Golden Plover Lodge also houses a museum containing hundreds of mounted birds, animals, and other specimens and artifacts, plus old style Eskimo fur clothing. Although most come from the Arctic, many museum items are also from other parts of the world. 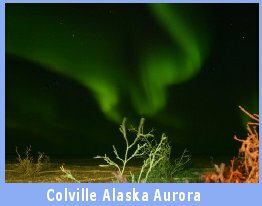 Fascinating "Northern Lights" highlight winter trips with other-worldly experiences ranging from the mid-day twilight of December's sunless days, to incredible brightness of the returning spring sun on vast streches of snow-covered landscape. Experience a snowmobile drive across frozen tundra or jumbled chunks of pack-ice in silent beauty. Learn how fishing is done with nets set under the ice, and witness the Arctic's harsh winter from a modern lodge equipped with all the comforts of home. Summer adventures plunge you into continual daylight, unending concerts of singing birds, prolific flower displays, and opportunities for superb birding, sightseeing, wildlife observation, photography, and boating in true wilderness amongst coastal tundra, marshes, river channels, lakes, and unusual polygon ridges. amazing adventures call or write us today. 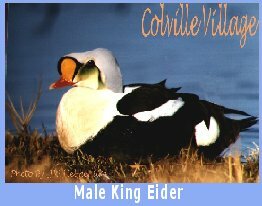 On mouseover photograph of king eider pair turns to female eider with a brood. 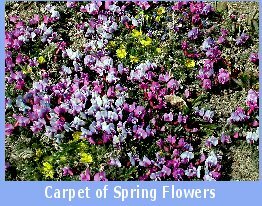 If you are interested in viewing or purchasing any of Jim's photographs go to: Golden Plover Photography. The above link (http://speikiei.zenfolio.com) will take you to the site where a large assortment of beautiful photos are available for purchase in several sizes, plus other products like mugs and t-shirts displaying Jim's photos. 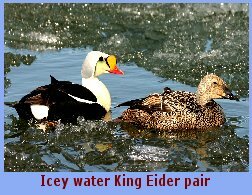 information on birds, but that will increase as the birds start arriving in the spring and continue through late fall. comments on what you would like to see added to the Nature Blog. Clicking on above underlined names will take you directly to sites.